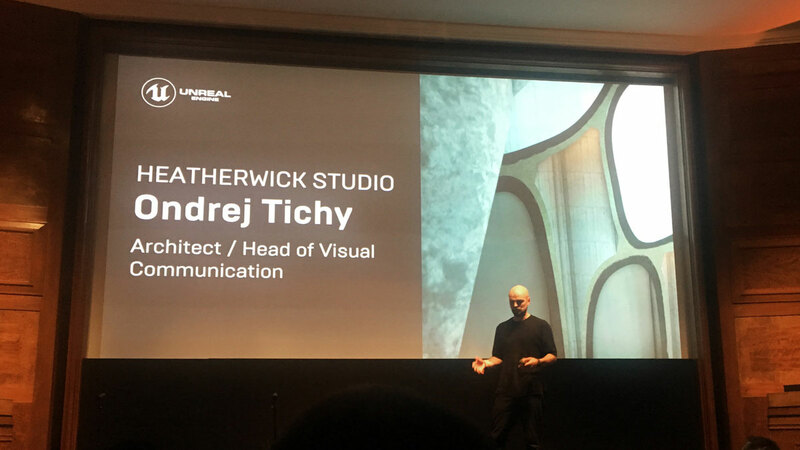 Ondrej Tichy, head of visual communication at the studio, spoke at Unreal Engine’s Build:London for Architecture event yesterday. The event was hosted at the Royal Institute of British Architects headquarters in Portland Place by Epic Games, showcasing how real-time visualisation technology is being used across architecture and construction industries. At Ondrej’s talk, he presented how 3D visualisation and VR are used at the studio in the design process.